A Tornado Watch has been issued for parts of Central New York as a strong line of thunderstorms looks to pass through our area overnight bringing heavy rain and strong winds. 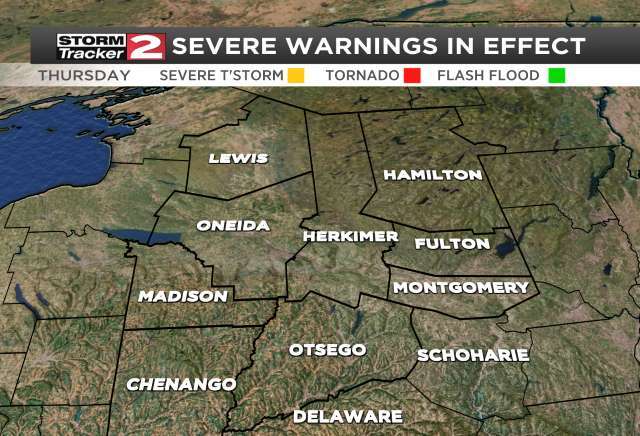 A Tornado Watch has been issued for Madison, Chenango, and Otsego counties from 10PM Sunday until 5AM Monday morning. This means that during that time frame conditions will be favorable for isolated tornado development. THERE IS NO TORNADO ON THE GROUND AT THIS TIME! A low pressure system off to our south will contiue to bring rain showers, falling heavy at times throughout the night. 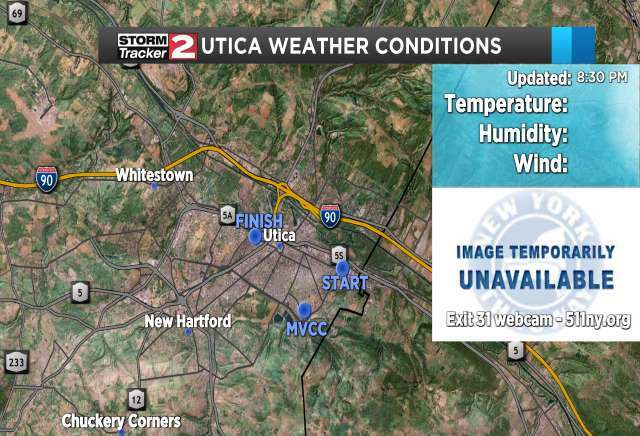 A final round of thunderstorms, potentially severe is expected to impact Central New York tonight. This time period of impact looks to be roughly between 8PM through 4AM moving west to east. The National Weather Service's Storm Prediction Center has parts of our area under Marginal and Slight risk and the biggest chance to see severe weather comes in the southwestern parts of our viewing area. There are two big factors we'll be focusing on becasue of this. The first is the wind. Under Marginal risk isolated severe thunderstorms are possible that will only last for a limited duration. During this time wind gusts can reach up to 60mph and cause downed trees and power outages. Under Slight risk, which is our most southwestern parts of our area, scattered severe thunderstorms are a possibility. Winds are very strong during these storms and there are often reports of damage liked downed trees and power lines. There is a slight risk for a tornado in those areas. The other factor here is the rain. Rain will fall heavy overnight and we'll see rainfall totals over an inch by morning across our area. The National Weather Service has an Flood Areal Watch for Herkimer, Hamilton, Fulton, and Montgomery coutnies going in effect at midnight tonight and lasting until 8AM Tuesday morning. Watch for rising waters especially if you live in flood prone areas. If you are driving and coime across a flooded roadway turn around and seek an alternate route. How to prepare for this? Well there are a few things you can do. Make sure your phone is fully charged and on tonight in case there is a warning issued. Bring inside or secure anything that can be blown away outside by strong winds. Make sure you are prepared for if the power goes out.